Can you please put me on the list for the Captain Marvel Marquee and the Captain Marvel pins? Thank you! I would like to be added to the list for all available wedding frames! Thanks again! I would love Clawhauser and Grumpy PTDs also! Pickup update - Clawhauser sold out before I could get another one, so he won’t be available. But I did get another Grumpy and a Nyx yesterday. I don’t think I will be able to stop by today on my way out of town and will be gone at a conference until Wednesday, but I will go ahead and put the first Grumpy and the Nyx up for drawings as well since I’m fairly sure that at least Nyx will not sell out by the time I get back. So I have two Grumpys and one Nyx for drawing. Signups cut off in just under two hours; drawings tonight when I get settled in my hotel room and can use my laptop. 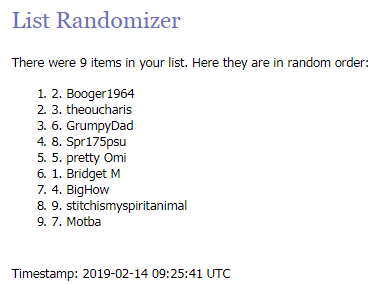 If you want Grumpy and/or Nyx after the cutoff you can still post after 1, you will just be placed on the list below the drawing entrants. No worries, I just hadn't updated the list yet. This post is the marker for the video; results up next! Hello from the Paradise Pier Hotel! I LEGIT want to take one of these Pixar balls home with me, but according to the info channel, it would run me $89 plus tax, so I guess I'll have to leave it behind. Also, let's play a game of What Movie Am I Watching? Congrats, @AlaskanMalamute and @AshleyV ! The rest of the list is the first come, first served order and I will get as many as I can to fulfill the requests until he sells out. Congrats, @Stewbaws ! The rest of the list is the first come, first served order and I will get as many as I can to fulfill the requests until she sells out. Hi!! Can I be on the list for all Wedding, Ice Cream Carton, and Captain Marvel pins?? Thank you so much!! Can i be on the list for all the wedding frames pins? Thank you! Can I be added for the Baymax ice cream please! Can I be added to the list for all available wedding frames? Please and thank you. Please add me for the wedding frames. Long day today! I'll update the lists tomorrow before I do the draw for the ice cream cartons. Reminder that the ice cream carton cutoff is tomorrow evening! 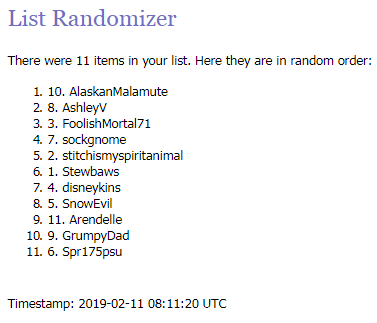 I haven't picked up more PTDs yet, but AshleyV passed on her Grumpy, so it goes to @FoolishMortal71 and the rest of the Grumpy list moves up. Availability update - Grumpy has sold out, as well as the Alice nesting doll set. Down to just Nyx. Pickup update - I got a Nyx for @Spr175psu . Just under two hours for ice cream carton signups! Thanks so much! Can you please add me to the ice cream cartons? Could I sign up for Jessica and Baymax, please? Lists updated to here. This post is the video marker. Next post is the results! The next few people on each list - I don't anticipate this release being overly popular and I think there may be a chance of them lasting past the release; if they do I will try to nab as many extras as I can. 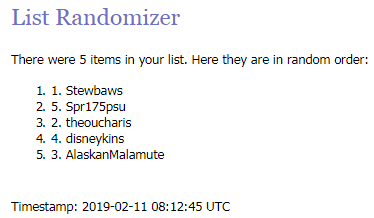 IF I am able to get an extra Judy and/or Sadness, I will open up lists for a few days, but I won't be taking names until I have them in hand. Kerri780, Pengy and Booger1964 like this. Hi could you put me on the list for Goose and the Captain Marvel marquee? Thank you!! Will be doing a major update tomorrow, including adding in the latest requests, but wanted to pop in for some updates. I missed the release, but was able to get a set later that morning, so the two names that were drawn got their pins and I got my Judy and Sadness. Today I was also able to get another Sadness to do a drawing. The list for Sadness is now open and will stay open until Wednesday the 20 at 9:30 pm PST /Thursday the 21st at 12:30 am EST. I did not get a spare Judy so I am not taking names for her. I was also able to get two more Nyx PTDs, so the next two people on that list will be contacted tomorrow for payment. 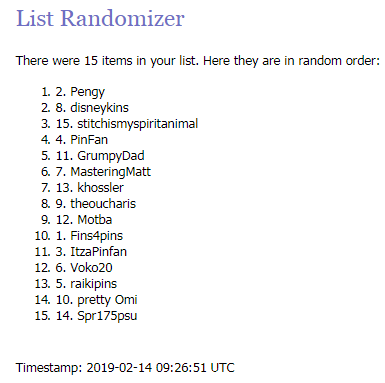 @Booger1964 and @Pengy - if you would prefer Sadness over the one you were drawn for, you may enter, and if you win the Sadness drawing your Baymax/Jessica will go to the next person on that respective list. Can I be added to the drawing for Sadness? Thank you. Please remove me from the waiting lists.